Mr. Ditchey was assigned as a member of the crew of USS Enterprise as its Ordnance Officer, responsible for all aspects of the weaponry of the carrier - air delivered ordnance as well as the ship's magazines and weapons-handling. At that time, Enterprise had the largest capacity for weapons of any ship of any kind, of all time, since she was the first nuclear carrier. She had eight nuclear reactors powering four shafts. Mr. Ditchey joined the ship while she was in Newport News, VA, being refueled and going through major overhaul. Enterprise subsequently sailed from Newport News to Alameda, sailing around Cape Horn, with port stops in Rio de Janeiro and San Diego. Leaving Alameda in less than a month, she sailed across the Pacific Ocean to Subic Bay, in the Philippines, and thence to Yankee Station, to commence combat operations.. 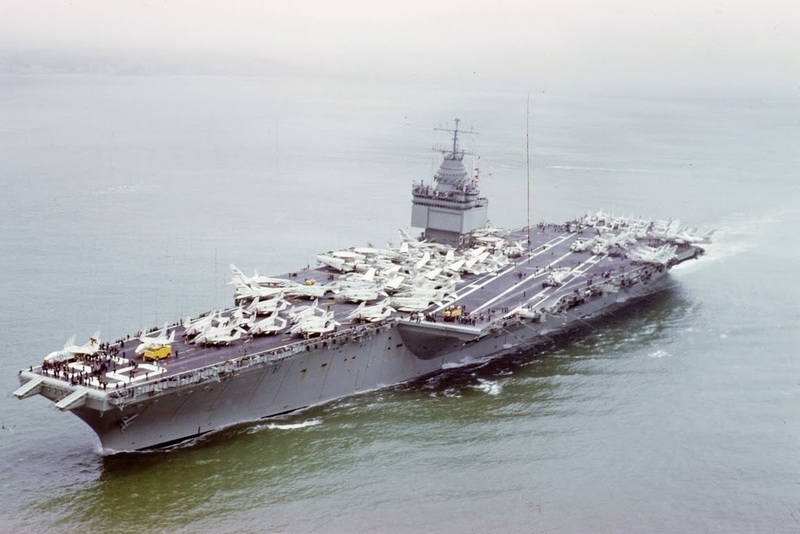 This photo of Enterprise was taken by Mr. Ditchey's family, from the Golden Gate Bridge, as Enterprise was outbound for service in "Yankee Station" near Vietnam. Mr. Ditchey was on board the ship. Besides his duties as Ordnance Officer for the ship, Mr. Ditchey also was one of a small number of qualified Officers of the Deck Underway, and also flew as one of the pilots of the "COD" aircraft that delivered mail and passengers (important visitors) to the ship. 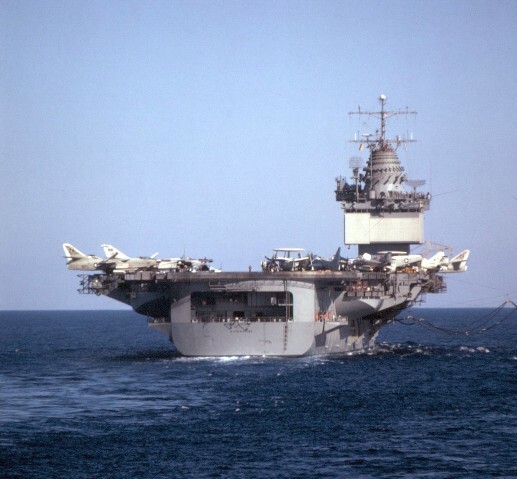 During his tour on Enterprise, the ship carried out "strikes" (bombing attacks) on various targets in Vietnam as well as attacks along the Ho Chi Minh Trail. Enterprise had the northern of two zones of patrol of "Yankee Station", just East of Haiphong.